Have you ever set goals that felt right when you created them, but somewhere along the way you lost track and couldn’t sustain enough momentum to get you across the finish line? Everything worth having in life, whether it’s mentally, emotionally, physically or spiritually starts with having a goal. It only takes one change in my life to reach my goals. Goals allow you to see a brighter vision for yourself. Reaching new goals requires you to grow. You may have to get uncomfortable with what you’re doing, and that’s okay. You have to be willing to stretch beyond any self-imposed limitations and consider different perspectives. Doing the same things over and over, won’t get you the results you want. You may have to develop new habits to achieve your goal or learn a new skill or take a few risks. Either way, make a commitment and stick to it. You don’t need any support to reach your goals. Very rarely do we go far alone. Recognize that having people who support you on the journey can make the difference from you getting stuck out there and abandoning your goals vs crossing the finish line. Having a supportive community around you can help to keep you motivated. Finding common ground with others and sharing both positive and challenging experiences will help you to develop the mental toughness needed to stay in the race. Lack of action toward your goals will move you closer to the finish line. Often you can see the finish line, but because it’s so far off, it’s difficult to figure out how to get there. Self-doubt has a way of creeping in and before you know it, you’re feeling overwhelmed and confused and wondering why you created this goal in the first place. When that happens, you must stay in action. Keep moving. Small steps lead to bigger steps. Figure out what the one next move is and then do it. With clarity comes momentum. You don’t need an action plan to measure your progress. I love the proverb “What gets measured gets managed.” This is a principle that is often used in business. Essentially it means that by examining an activity, it changes the activity by raising your awareness of where you stand. 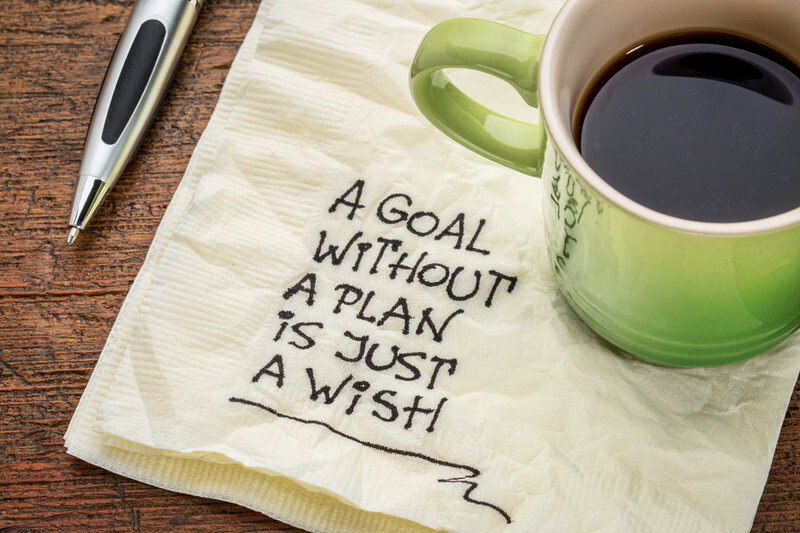 This is why charting your goals and establishing milestones is an essential factor in accomplishing your goals. By measuring your progress and knowing where to improve or make changes in your plan, you are more likely to achieve your milestones and put yourself right in front of obtaining your goal. I should listen to my inner-critic and quit so I’m not at risk of failing. Being afraid to fail keeps you playing small and standing in place. When it comes to accomplishing your goals, If you’re not failing then you’re likely not learning anything new. If you’re not taking risks then you’re stuck on a treadmill going nowhere fast. Judgement and failure both come from a place of fear. The message here is clear and simple “Learn to dance with your fear.” It will encourage you to be afraid and do it anyway. 7. You don’t have to be prepared to succeed. You create your own reality, no one else does. The great thought leader, Jim Rohn said “Your level of success, will rarely exceed your level of personal development because success is something you attract by the person you become.” Focus on how to grow and get better every day. Prioritize self-development and leverage your strengths. Each goal that you accomplish positions you for the next level of success. What is Mission North Star? Jennifer Conde on What Would I Do, If I Had More Time?